Our partners benefit in both bull and bear cycles with our trading methodology. When the market is in a bear cycle, we have a proprietary ETF trading system that is extremely profitable by trading the large pivots using various leveraged Bull and Bear ETF funds for different indices and sectors. We hold these for 3-13 days on average and aim for 5-15% gains each time. ATP has a strong market forecast record under the guise of our strategist Chris Vermeulen. Chris’ forecast abilities allow us to anticipate shifts in the market dynamics ahead of the crowd, and we can quickly adjust to ETF trading from Individual Stock trades as need be. In short, if the market is in Bear mode, we turn the charts upside down and begin trading the Bear ETF’s profitably, while catching the counter-trend bounces using the Bull ETF’s using our revolutionary scale in bottoming signal system. We don’t much care whether it’s a bull market or a bear market at ATP, we only want to be on the right side of the trend. 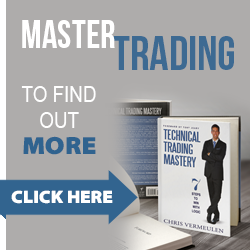 If you have any questions that were not answered please send me an email Chris@TheTechnicalTraders.com and I will get back to you as soon as possible. Subscribe NOW! Click here to begin YOUR Membership immediately….